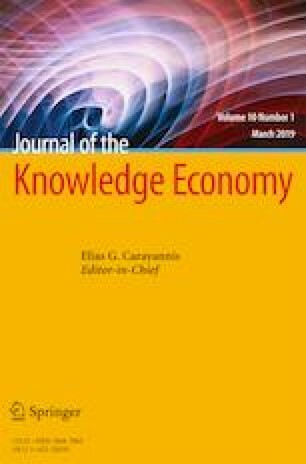 The purpose of this study was to examine the challenges of research collaboration from the perspective of academic researchers who engage in research collaboration with knowledge users. The study design was descriptive and comprised an explanatory sequential mixed methods approach made up of a survey of a proportionate stratified sample of academic researchers and key informants from two public universities in Ghana. On the basis of responses from 127 academics with collaborative research experience and 11 key informants, it was established through principal component analysis that collective assets, such as lack of common values and trust, followed by structural and positional factors, such as limited funding and inadequate infrastructure, were key challenges of research collaboration. The challenges of research collaboration point to the existence of clash of values between academics and knowledge users and to the absence of comprehensive national and institutional support systems for research collaboration. The persistence of the challenges will widen the knowledge filter in the economy and can eventually result in a Swedish paradox. This paper is part of a series of publications from an ongoing PhD study. We thank the University of Cape Coast (UCC) for sponsoring a Ph.D. study from which this paper was written and the Association of African Universities (AAU) for the award of small grants for theses and dissertations, in the year 2015. We are also grateful to all individuals and institutions that provided support, especially the academic researchers who kindly accepted to participate in the study. Afful, K. N. (2013). Ghana vision 2015 won’t be achieved without technology. http://www.ghanabusinessnews.com/2009/06/02/ghana-vision-2015-won%E2%80%99t-be-achieved-without-technology-economist/. Accessed 17 April 2016. Calvert, J. (2002). Making academic research useful. Scientists’ responses to changing policy demands. Paper presented at the NPRNet Conference on Rethinking Science Policy: Analytical Frameworks for Evidence-Based Policy, 21–23 March 2002, Brighton. https://www.researchgate.net/publication/228985597_Making_academic_research_useful_Scientists’_responses_to_changing_policy_demands. Accessed 20 September 2012. Frede, J. (2012). ECOWAS’ capability and potential to solve constraints to growth and poverty reduction of its member states. Unpublished Manuscript, University of Trier, Germany. http://www.unitrier.de/fileadmin/fb4/prof/VWL/IWB/Vorlesung/neu/ECOWAS-and-national-constraints_2012.pdf. Accessed 17 June 2016. Government of Ghana. (2010). Medium-term national development policy framework. Ghana shared growth and development agenda (GSGDA)—2010-2013, 1: policy framework. Accra: Author. http://www.mofep.gov.gh/sites/default/files/docs/mdbs/2010/final_draft_mtdpf.pdf. Accessed 2 February 2013. Henrekson, M., & Rosenberg, N. (2001). Designing efficient institutions for science-based entrepreneurship: lessons from the US and Sweden. The Journal of Technology Transfer, (forthcoming). http://www.econstor.eu/bitstream/10419/56278/1/333190394.pdf. Accessed 7 October 2012. Hughes, A., & Kitson, M. (2012). Pathways to impact and the strategic role of universities. Working paper [No. 435], Centre for Business Research, University of Cambridge, Cambridge. https://cje.oxfordjournals.org/content/36/3/723.full. Accessed 18 November 2013. Hughes, A., Kitson, M., Probert, J., Bullock, A., & Milner, I.. (2011). Hidden connections: knowledge exchange between the arts and humanities and the private, public and third sectors. University of Cambridge Centre for Business Research, University of Cambridge, Cambridge. https://cje.oxfordjournals.org/content/36/3/723.full. Accessed 23 October 2012. Long, J. C., Cunningham, F. C., & Braithwaite, J. (2013). Bridges, brokers and boundary spanners in collaborative networks: a systematic review. BMC Health Serv Res, 13(1). doi: 10.1186/1472-6963-13-158. Moore, B., Hughes, A., & Ulrichsen, T. (2010). Synergies and tradeoffs between research, teaching and knowledge exchange (research report to HEFCE). Cambridge: Public and Economic Corporate Consultants (PACEC) and the Centre for Business Research (CBR). http://www.pacec.co.uk/wpcontent/uploads/2010/09/Synergies_and_Trade-offs_Between_Research_Teaching_and_Knowledge_Exchange.pdf. Accessed 2 July 2014. Research Councils UK (n.d.). Innovation and the research councils. http://www.rcuk.ac.uk/documents/publications/innovationbookletfinalweb-pdf/. Accessed 6 March 2016. Serger, S. S., Wise, E., & Arnold, E. (2015). National research and innovation councils as an instrument for innovation governance—characteristics and challenges. VINNOVA–Swedish Governmental Agency for Innovation Systems Sweden, Sweden, http://www.vinnova.se/upload/EPiStorePDF/va_15_07T.pdf. Accessed 11 January 2016. UNCTAD. (2011). Science, technology and innovation policy review—Ghana. Switzerland: United Nations. http://unctad.org/en/Docs/dtlstict20098_en.pdf. Accessed 17 October 2013. Yawson, R.M. (2002). Technology commercialization and intellectual property rights in Ghana. Paper presented at the International Conference on TRIPS, 11th–12th October 2002, Hyderabad, India. https://core.ac.uk/download/files/432/12029456.pdf. Accessed 21 September 2013.